A good salesperson knows how to use the brain to her advantage. Colleen Stanley, CEO and President of SalesLeadership Inc., describes selling as the “combination of physiology, psychology, and consultative skills.” If this is true (and we like to think so), why does so much of traditional sales training focus only on hard skills, and not soft ones? Understanding how your brain works in stressful and unpredictable situations allows you more control over your reactions. In turn, greater control over your reactions results in greater control over these situational outcomes that could make or break the deal you’ve been working so hard to win. For centuries, researchers believed that our brains operated like machines, with information “hard-wired” into neurons. Recent research, however, has proven all of this to be false. In fact, our thoughts and experiences can change the structure and function of our brains, creating new neural pathways even in old age. This phenomenon is known as neuroplasticity. There are three key ways you can leverage neuroplasticity to effectively win more deals and meet your sales goals. Dr. Jeffrey Schwartz, a research psychiatrist at UCLA, is a leading expert in mindfulness and neuroplasticity. He teamed up with Tiffany Gray, a business consultant and director of PRISM Brain Mapping Australasia, to contribute some thoughts on neuroplasticity and sales. One subject they touched on was how salespeople can reframe negative emotions using neuroplasticity principles. Are you excited about the meeting and the product you have to sell? Have you remembered everything you need? Now, let’s say that you’re feeling anxious, perhaps because you forgot a key slide for your presentation. One impulse favored by more aggressive sales cultures would be to ignore those feelings and take charge of the situation. But Schwartz and Gray say this could offer an opportunity to reframe your thinking. “Look for options by asking yourself, ‘How else can I view this situation?’ After you reframe how you’re feeling, you can begin to refocus your attention” they advise. Next, clearly identify what you’re here to do. For example, let’s say you’re here to share information about your product, to demonstrate how it can be used and the benefits the customer will experience from it. Your focus of attention should be on the product and its value—and not on you and feeling anxious. “When the brain is challenged and engaged performing an activity, new neural pathways and remapping can take place. Being original and open to new ways can speak to the positive effects of neuroplasticity,” says clinical neuropsychologist Dr. Christine Weber. In a simpler picture: imagine that you’re caught in a traffic jam on the highway and your normal route home has been shut down. That act of finding a new solution to an old problem (the commute) is comparable to how the mind works its neuroplastic magic. “Individuals in sales must constantly think outside the box to sell their product and keep the consumer interested. Successful advertising campaigns sometimes use original concepts to breathe new life into old products, whether changing the product target audience or the item packaging itself,” Weber says. So next time you go for a walk, try exploring a new route. If you’re free on a Tuesday night, try playing a new board game with friends. Challenge your brain by doing common tasks differently! What it means: If your customers are triggered into a threat state, they will likely walk away from a deal because it just doesn’t feel right. However, if your customers are triggered into a reward state they will most likely buy from you because it feels good. If you take these steps, you have begun to create a “brain-friendly” platform for customers to move towards a reward state, engage with you and most often buy from you, according to Schwartz and Gray. 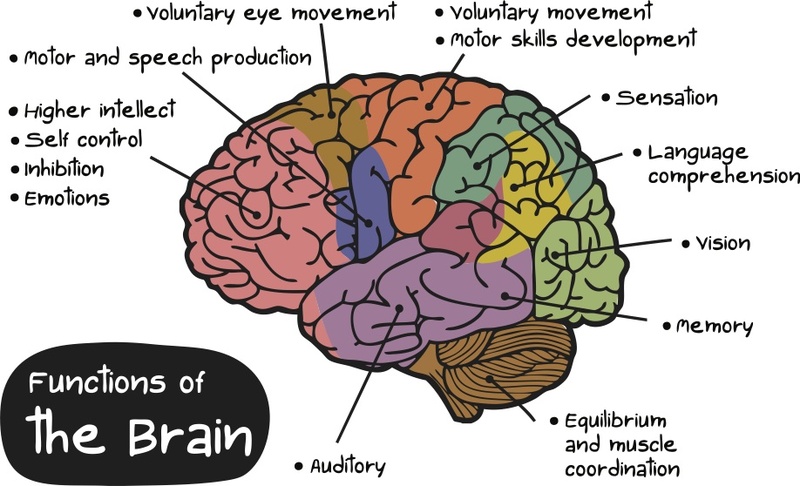 More on the brain in our 7-day sales prospecting course (backed by neuroscience).